If you are a furniture maker or a project maker by wood then you will need to use straight wood as well as bend wood. For making your project gorgeous & brilliant, you need to bend wood perfectly. For delicate finishing, you have to know the ways of bending wood. There are some ways, but each of them has advantages and disadvantages. 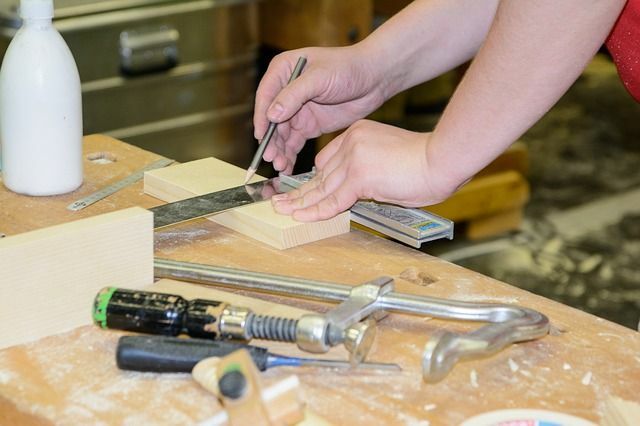 For knowing the best way of bending wood, you will first need to learn how to bend wood. Applying the different methods will understand the suitable way for you. Generally, the Wood bending process is more time consuming and tougher. However, it gives you some excuses to try the process another time, once you have tried it. So before bending plywood, you need to understand the process off how to bend plywood. This is a great process for bending wood. There are some types of steam box. A steam box can be made of wood or PVC. However, what you need in the steam box is an exit hole for passing the steam. Otherwise, the steam will blow up your steam box. You will need to set up the steam box turned toward the ground; this will help water to come out from the box. We have to apply different form on the hot wood. As a result, after drying the wood we will get the expected shape. So before passing the wood in hot steam, we have to make sure that our form is ready. The wood must have to hook up with wooden clamps. Wooden clamps can be found in-store or you can make them easily. Now it is time to heat the wood. At first, lay your wood inside the chamber. Then turn on the steaming. The wood needs to be heated at least one hour for each inch of the thickness. Once the wood is heated properly with steam, you should place the wood in shape box or form immediately and appropriately. Handle the steamed wood with care, try to bend the wood gently otherwise, the wood will break. You may clamp your wood, clamping will give the wood extra flexibility. So far, we have learned how to bend plywood. Now we are going to learn how to bend wood without steam. First, we will prepare the wood for bending. Rule the curve on your wood surface. You should take an extra few lengths because after bending the wood curve will decrease the length. You have to rule diagonally on wood. As a result, if the wood stripes fall down, you will be able to tell which shape your stripes belong in. Now cut wood stripes through the edge. Always remember that bending a thin wood stripe is easy than bending thick wood. Now spread glue on your wood surface. Glue will help the wood remain in bend shape. You should use a disposable roller to apply glue on the wood. Make sure that the glue is perfect for wood. You can try two-part urea-formaldehyde glue. It suits great on the wood surface. You can also try an epoxy. It will be very effective as well as expensive. Finally, you have to place the wood in form as soon as possible. Now, do these processes repeatedly until you have the desired thickness. Clamp the wood strips together. After drying the glue, you can cut the wood as your desired measurement. You need to prepare the wood at first. You should first smoothen the surface of the wood and cut notches are the preparation for the kerf cutting method. Kerfs are always situated inside part of a curve, so you have to care about the kerfs. Do not make deep kerfs; they may break the wood when you try to bend it. Ensure that distance between kerfs remains same; try to get them 1.3 cm apart. Now apply glue on the kerfs and bend the wood. After drying, the glued wood will remain to bend. You should give a veneer or laminate on the front side of the wood. This laminate will help you to hide any unexpected cuts. If you want to fill up the kerfs, mix up the sawdust and glue together, then apply the mixture in kerfs. Have you ever thought that how easily can an expert bend the wood? It is a matter of fact that there exists too much process for bending wood. Bending wood with water also makes the energetic and anticipates the bentwood more sturdy & more serviceable. It is a good way to get exact wooden structures. Now our focus will be how to bend wood with water. You have to select a piece of wood, which has the proper thickness to bend. I think after reading some wood bending method you may understand that the thickness of a wood plays a great role in bending wood. You have to collect a tank or container, which is appropriate for the wood. There is a recommendation; you may use a container to raise the heat of water, as hot water seems efficient in folding wood than cold water. After absorbing water try to bend wood slowly. Once you will get your desired shape then leave the wood for drying. After drying the wood, you have to fix the wood with clamps and heat the wood. Remember this, if the width of the wood piece is small, then fold it along the grain while it is still wet. Balsa is kind of wood that often use to woodworking procedure to make curves that require the wood to be bent. You do not have to apply a special method to make curves if the wood is gentle. However, for exceptional cases, you have to ensure that the balsa wood will bend easily without breaking. Therefore, we are going to learn how to bend balsa wood. At first, choose A-grain balsa wood for complex bends. B-grain and ac- grain pieces are more fragile than A-grain. Bend the wood so that the grain of the balsa wood moves longer side of the piece. Liquidate the wood in a tank filled with a mixture of equal parts ammonia & hot water. Allow it to douse for at least 60 minutes. Actually, this solution assists to break down the cellular level in balsa & make balsa more flexible. Now as usual place the wet wood against form. You have to clamps up the wood. Wait until it dry. Generally, it takes two to three days to dry. After being dried, erase the tape from balsa. Then it will spring back a little from this form, but it is normal. Now spread the glue on the wood surface and force a little to gain the template form. After discussing bending wood, I think you have learned how to bend wood properly. It is always essential to know this kind of information so that you will be able to do the same yourself. Bending a wood does not require an expert. If you are an amateur, you also will be able to do the procedure. However, after reading this article you will gain some general knowledge that helps you to understand which way you should. You may lose some substantial amount of money if you are to offer this job to a professional. On the other hand, when you do it yourself you can do the bend, as you want.